Personalized Address Plaque with Pine Cone Border - - 16" x 9" rectangle address sign holds one or two lines of personalization. Made in USA. 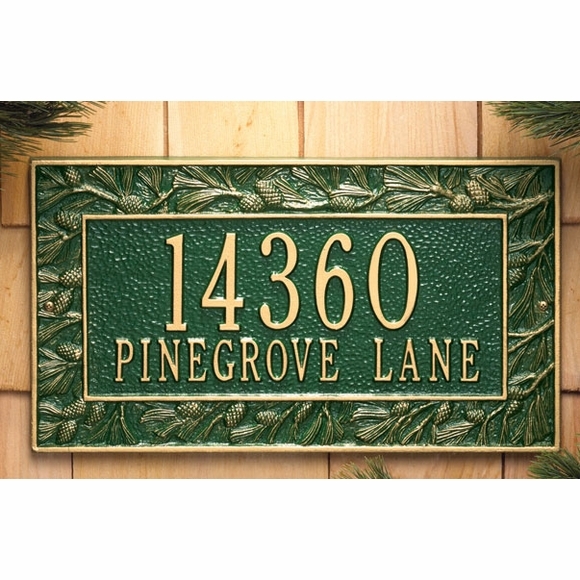 This decorative plaque has a wide border of pine cone branches that frames and highlights your address. The one-line version holds up to five numbers. Shown above in color GG dark green with gold. Pinecone border personalized address sign for wall mount.